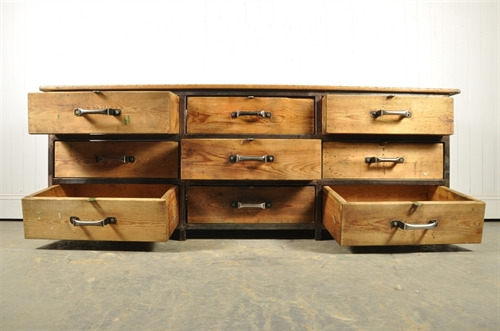 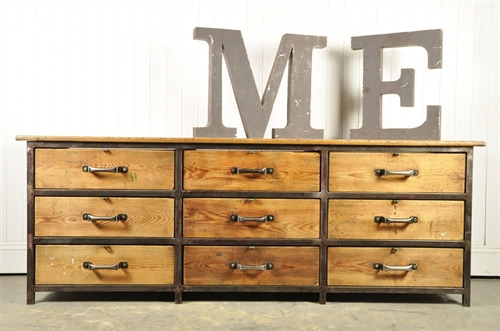 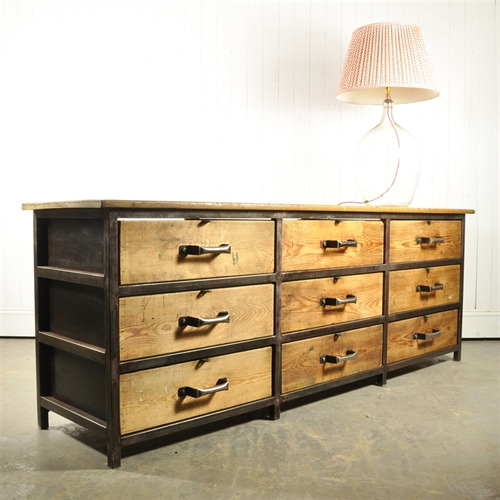 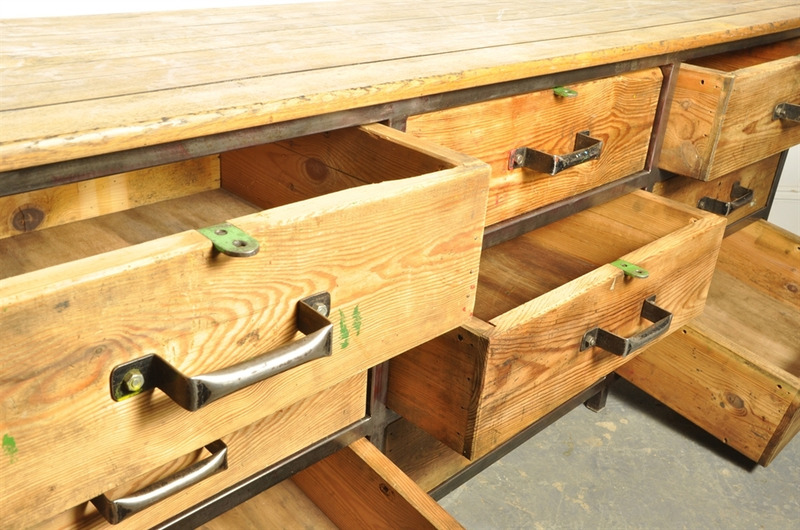 Sourced in the North of France this lovely vintage bank of drawers has been stripped of its paint revealing the steel frame and pine drawers. 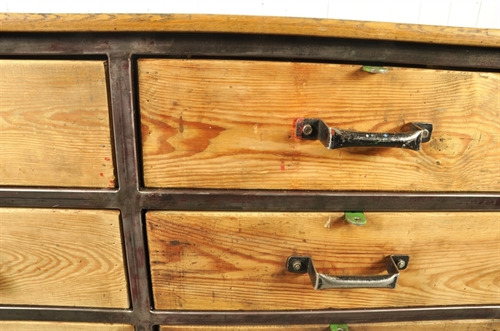 The paint has been left in places adding an interesting splash of colour. 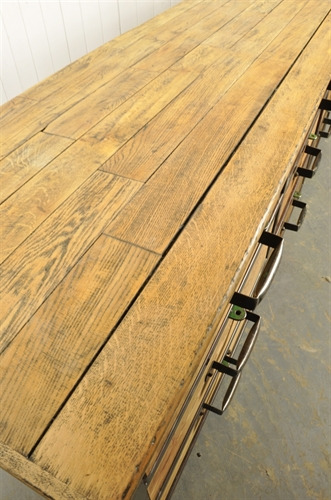 The top has been remade using reclaimed timber. 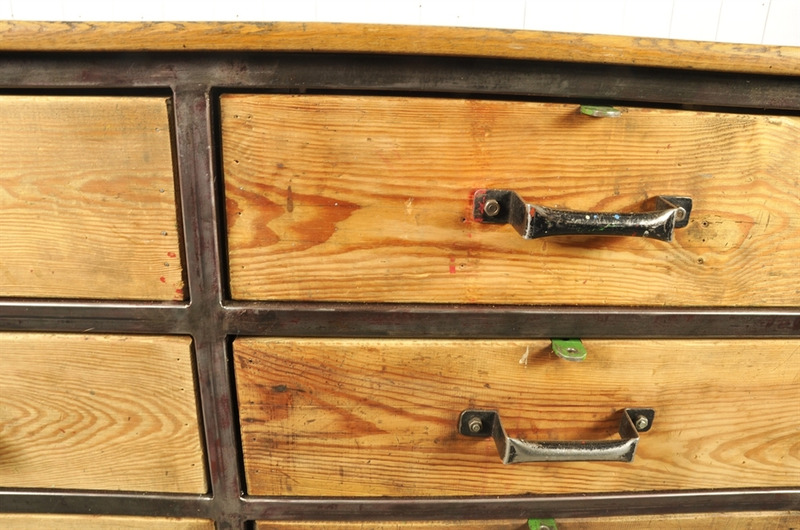 Generally very sturdy and fairly heavy. 80 cm h x 219 l x 53 d.